Built around 1896 for grocer Harry Meikle, the upstairs of this solid, two-storey stone structure along Morden’s Stephen Street was occupied by a variety of businesses through the years, including dressmakers and law firms. 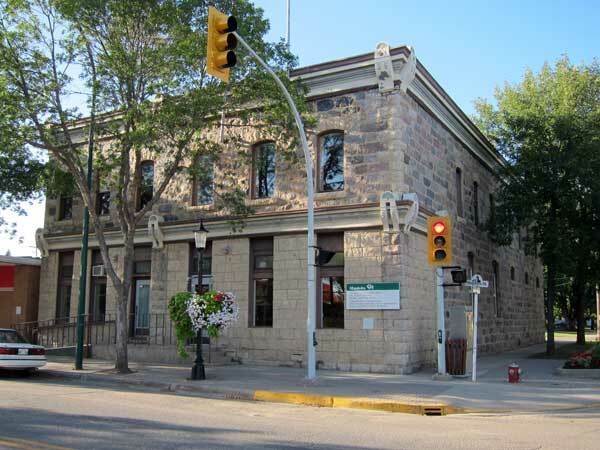 For many years, the west half of the main floor housed offices for the Manitoba Telephone System then, from 1963 to 1972, the Municipal Assessment Branch. The Land Titles Office occupied the east half of the building since the early 1920s and took over the entire building in the 1970s. 351 Stephen Street, Land Titles, Town of Morden.